Label of the report. You specify the report name when you create the report. Time period covered by the report. Report frequency. Applies to scheduled reports only. The current stage of the report. Ready – Report is available to view and download. Failed – Comodo One encountered an error when creating the report. Active – The report will be generated at the scheduled times. Inactive – The report schedule is disabled. You can activate or deactivate a schedule using the options at the top. 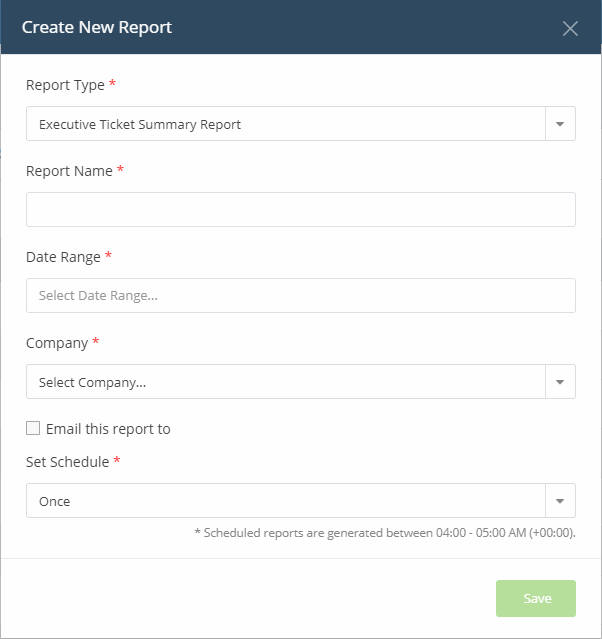 See View and manage report schedules for more details. Date and time at which the report was generated. To search for a specific report, enter the name of the report in the search field and click the magnifying glass icon. Choose the report type from the options. Report Name - Enter a descriptive name for the report. 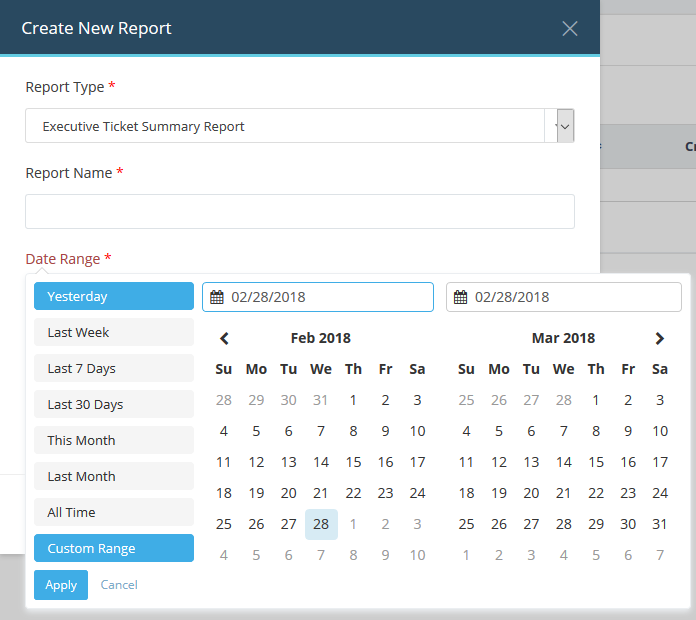 Date Range - Click inside the field to choose the time period to be covered by the report. Company	- Organization for which the report is to be generated. 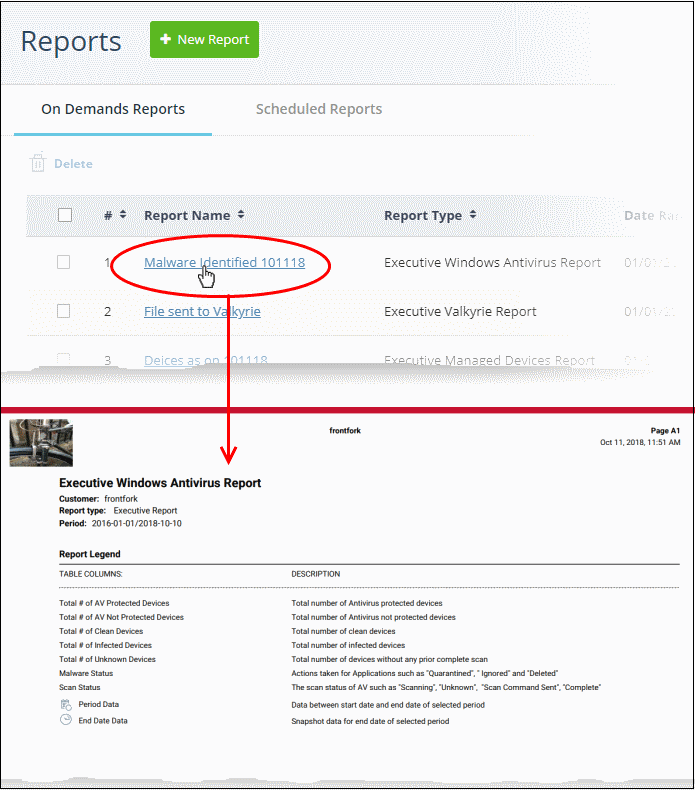 MSP customers - Select the company from the drop-down whose activities should be covered by the report. Enterprise customers - the name of the company is auto-filled. 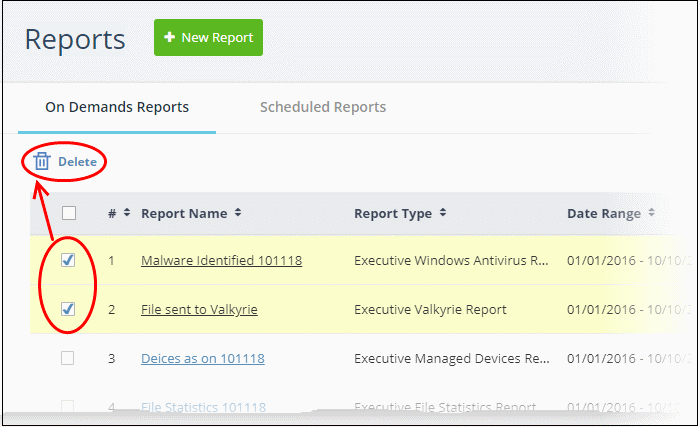 Email this report to – Enter the addresses of any admins that you want to receive the report. You can add multiple email addresses in the field. Press 'Enter' button after each address. Set Schedule - Select the frequency at which the report should be generated. 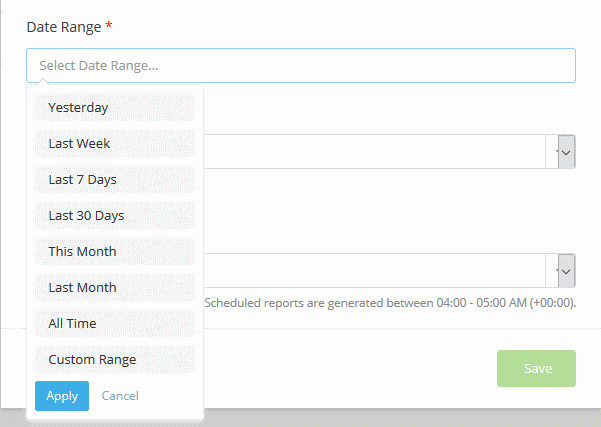 Please note, the 'Set Schedule' feature is not available for custom date range. Once - A one-off report. There will be a slight delay while the report is generated. The report will appear in the list when it is ready. Daily - The report will be generated every day. Weekly - The report will be generated every week on the day the report was created. Monthly - The report will be generated once per month on the day of the month that the report was created. Note: Daily, weekly and monthly reports are generated between 04:00-05:00 AM (UTC). Click on the name of a report to view it. The report will open in pdf format. Click the download button to save a copy. 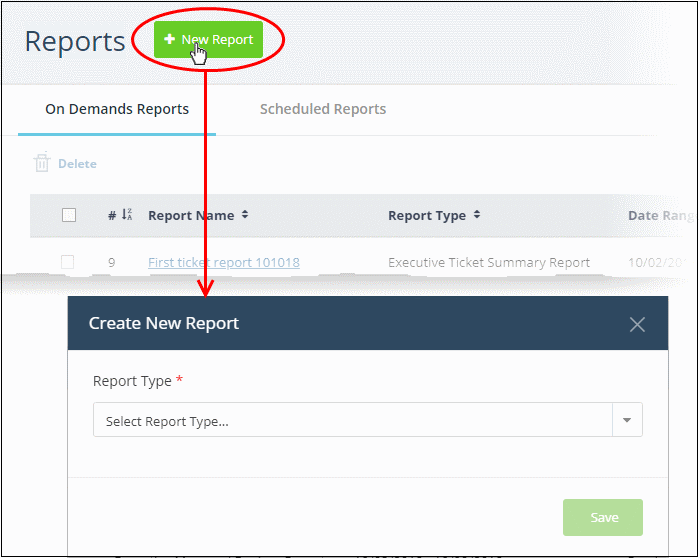 Inactivate Report – Stops the report from being generated at the scheduled times. Delete – Removes the schedule from the list.